This is your chance to own 1.086 acres of clear land on the incredibly fast growing city of Lewisville. This land is located right on Business 121. All the hard work has been done, small old home was removed. See survey.Information Deemed Reliable, But Not Guaranteed. 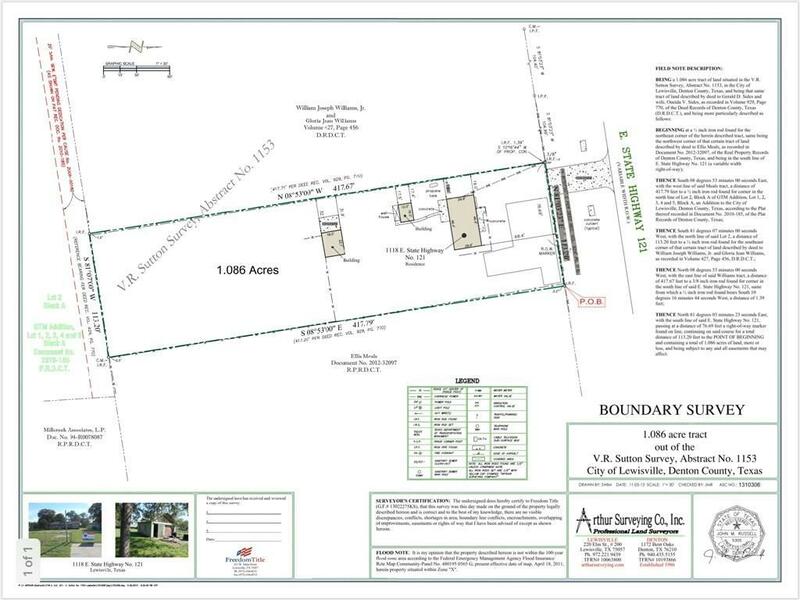 Offered by Anysa Siam of Fathom Realty Llc.